1. 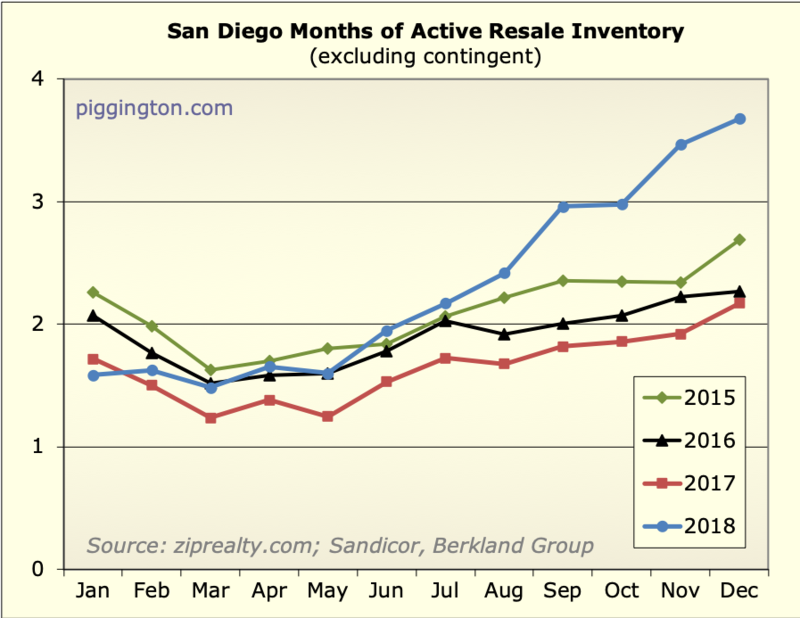 Months of inventory is highest since 2011 (which was right at the tail end of the bust). Price weakness in December is normal, and any one month can be noisy. So no big deal yet, but something to watch. 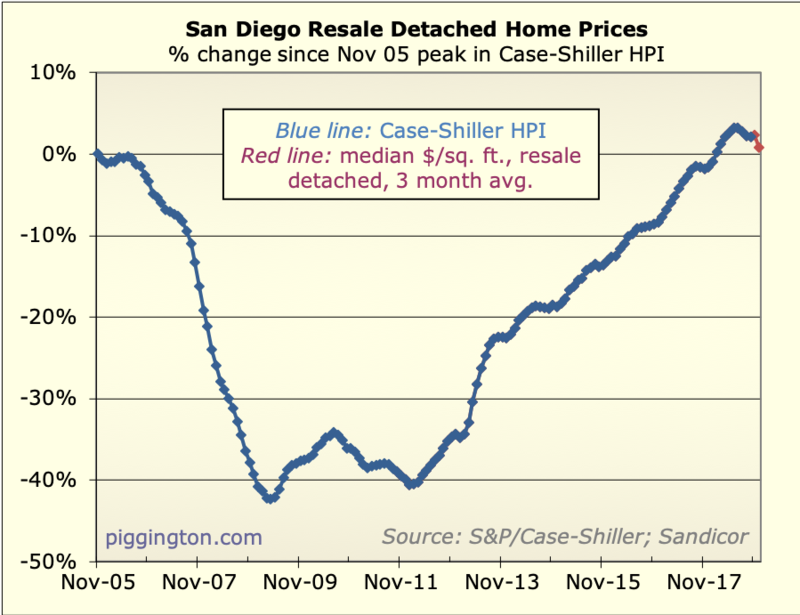 (The actual Case-Shiller index, when it's released, will provide a more accurate picture of actual price changes). Submitted by spdrun on January 21, 2019 - 8:20pm. Submitted by gzz on January 22, 2019 - 1:36pm. Score a point for my new normal Internet listing theory! 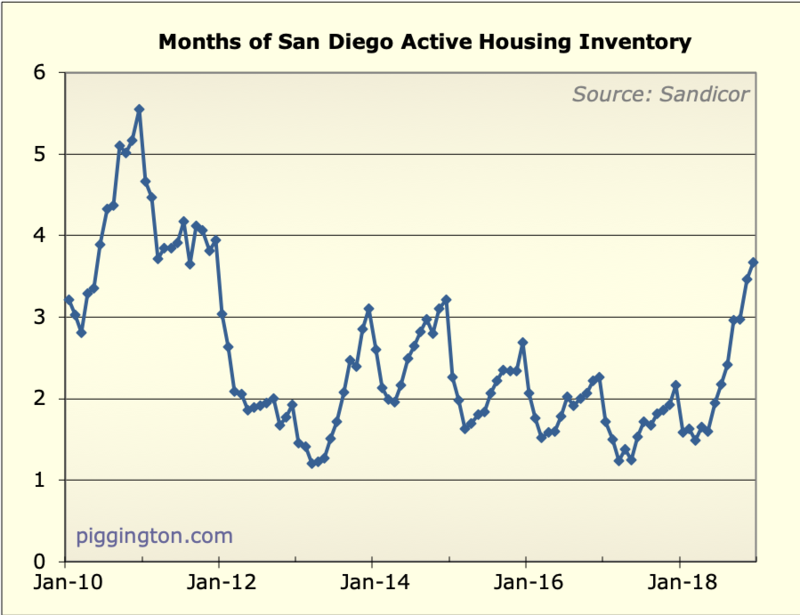 Inventory is hardly historically high, but enough to cause a month over month PPFS decline. Rates peaked around Oct 15-Nov 15, and have dropped a whopping half point since their Nov peak. 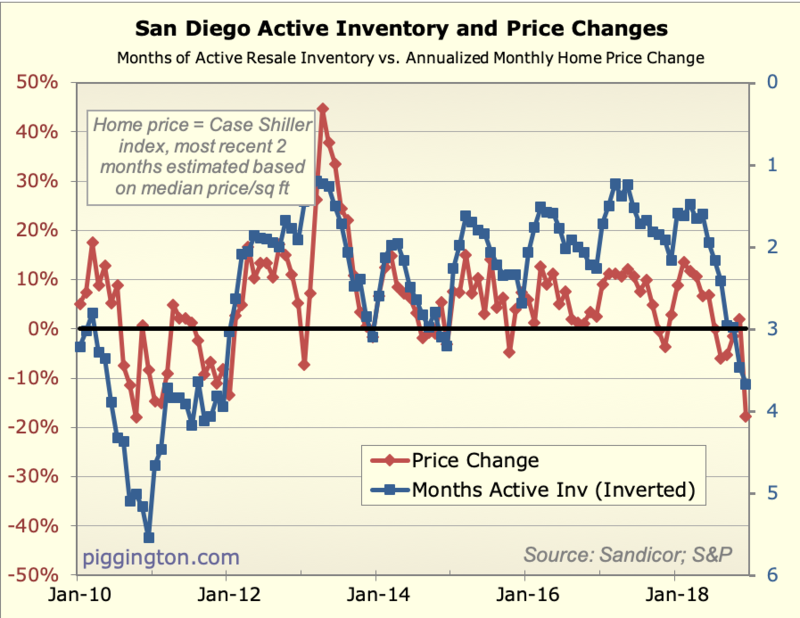 December sales represent Oct and Nov rate locks and mortgage applications, so we'll need to wait another 1-2 months to see what half a point does. 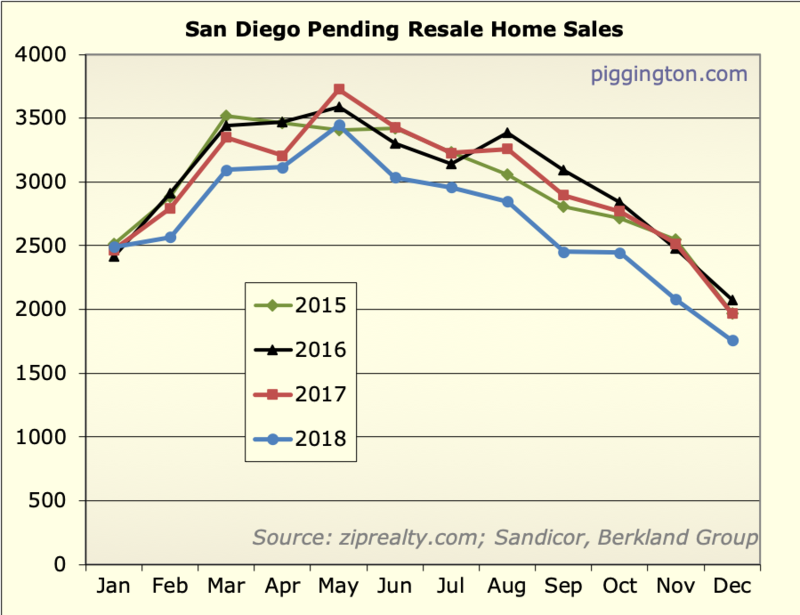 I wonder if some late 2018 buyers delayed closing to reapply for a new mortgage when rates dropped so suddenly. Probably a few did, and in a cooling market who could say no. Submitted by phaster on January 23, 2019 - 7:30am. Submitted by andymajumder on January 25, 2019 - 1:46pm. 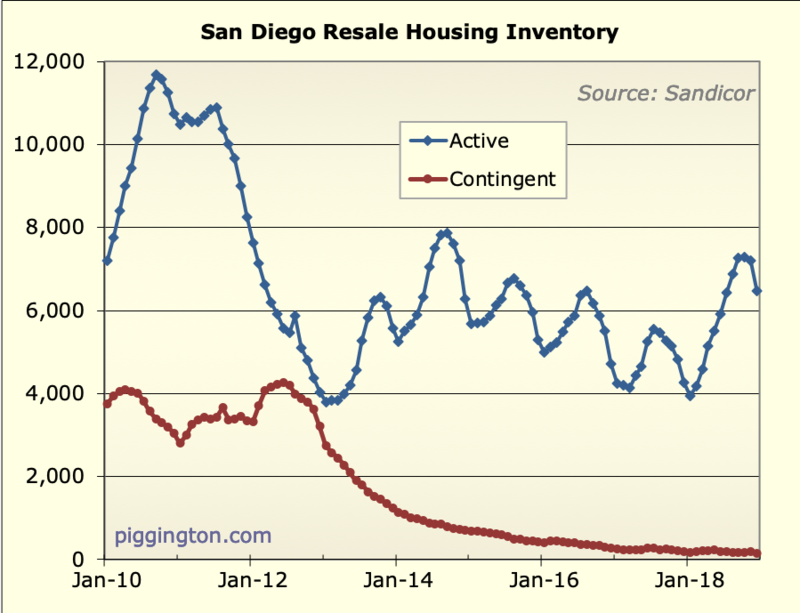 The charts & the numbers look ominous. 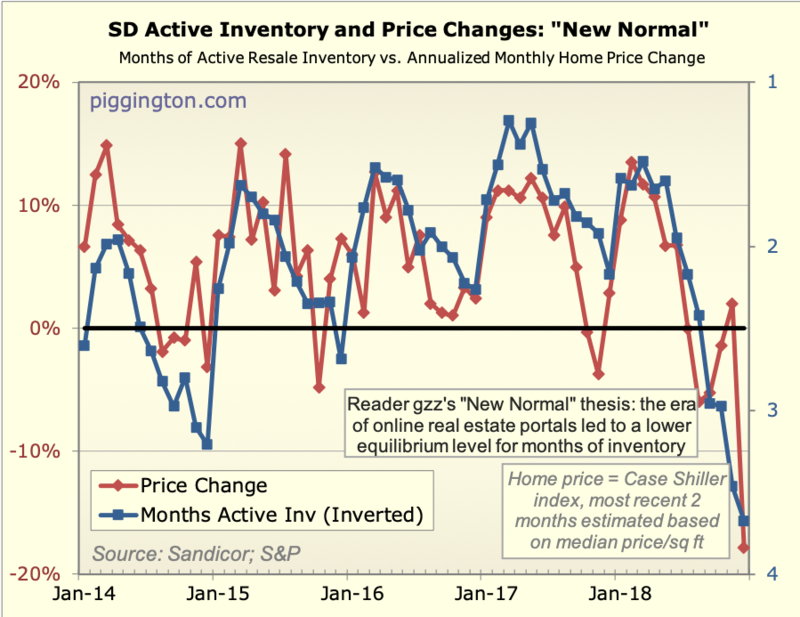 Hopefully, a slowdown and flattening will be followed rather than a crash of any kind. 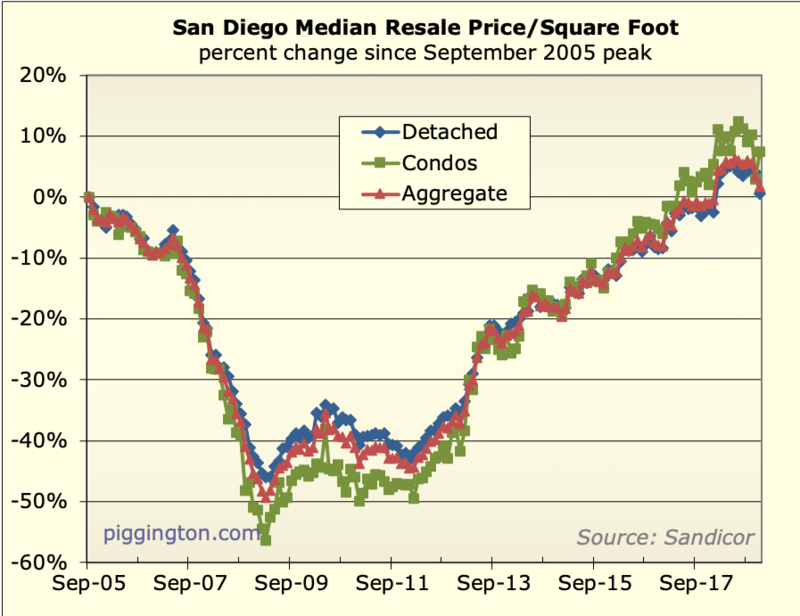 Still think based on the numbers SD is reasonably affordable compared to other places on CA coast. 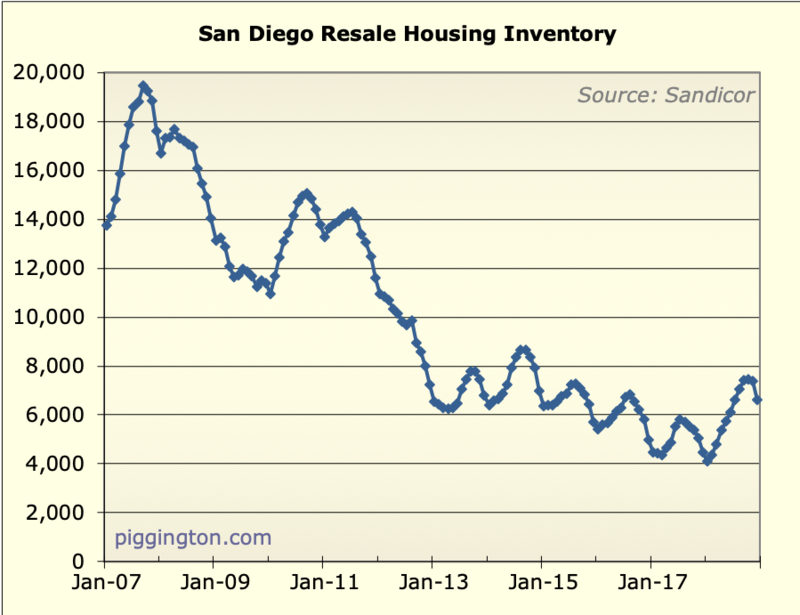 Maybe its taken some time to sink in, but the capping of State & local taxes to 10k for deduction is starting to hurt the real estate markets in blue state IMO. Submitted by spdrun on January 25, 2019 - 2:01pm. They don't look ominous; they look promising if you want to buy and weren't gullible enough to buy into a bubble. Submitted by andymajumder on February 1, 2019 - 11:18am. 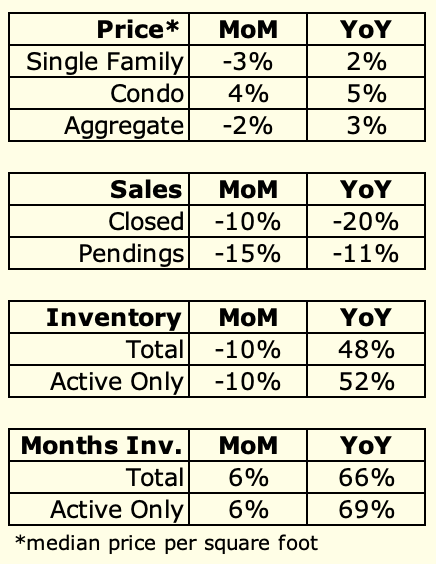 "By the time all of the sales get recorded onto the MLS, we should match last year’s January count, and probably do better!" 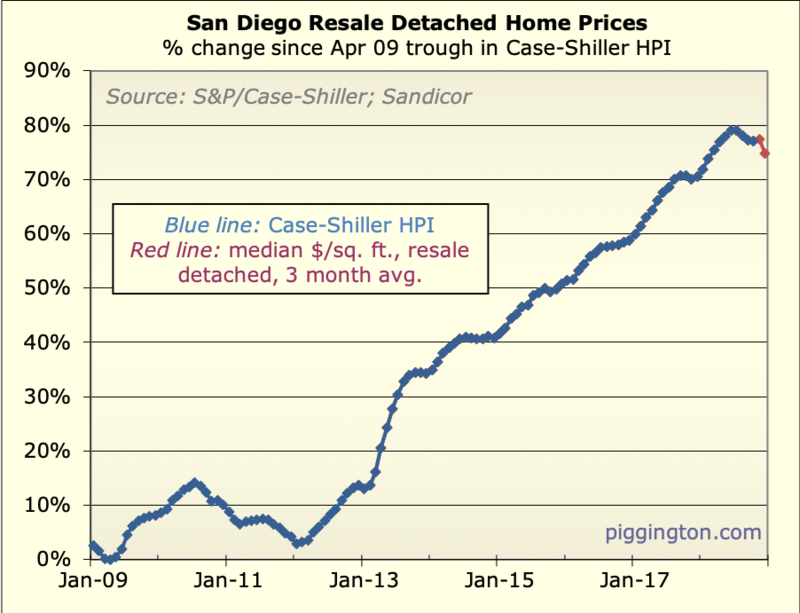 When I compare SD home prices to most parts of coastal CA, SD is quite reasonably priced, jobs are actually growing here, with some of the tech behemoths gradually increasing their footprint in SD. 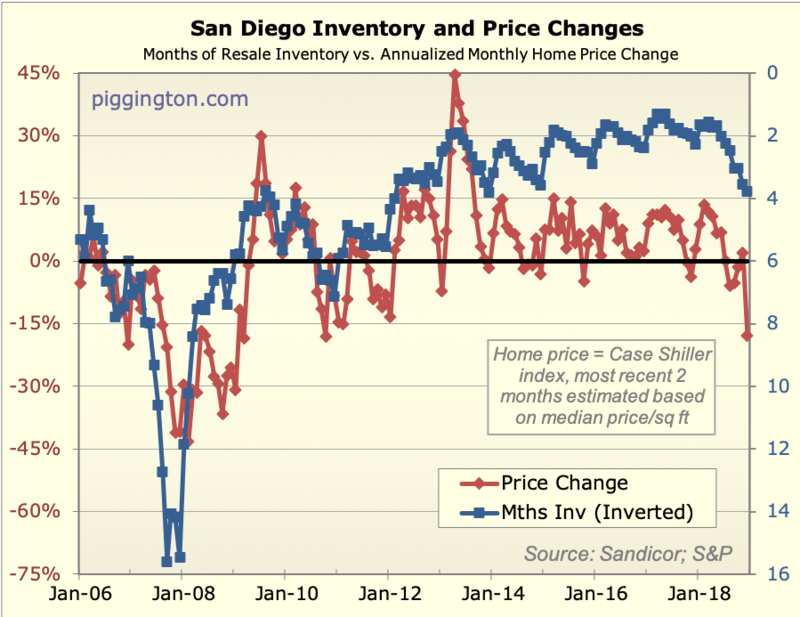 Never expect prices to get anywhere close to bay area, but all this doom & gloom about SD housing prices is utter nonsense. 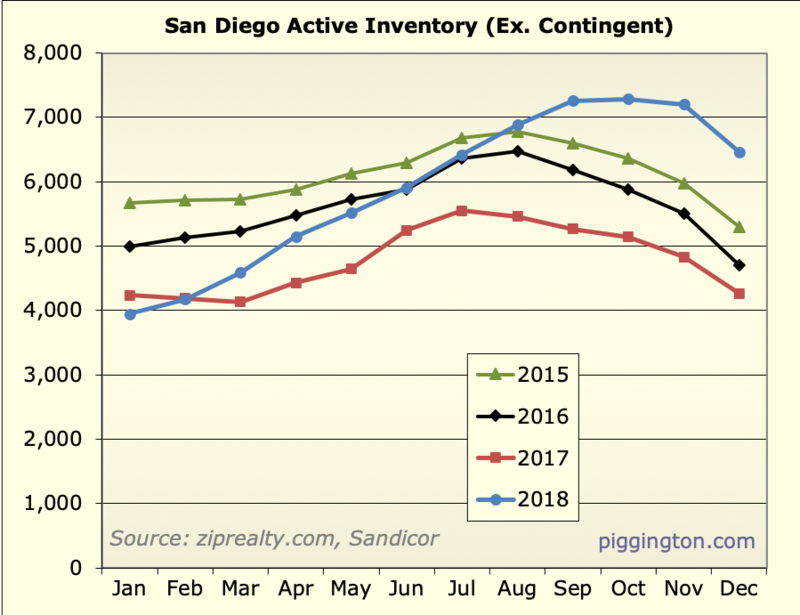 SD will do fine, in fact a few years of flattening or slight decline might be good for SD in the long run. Submitted by gzz on February 8, 2019 - 11:49am. 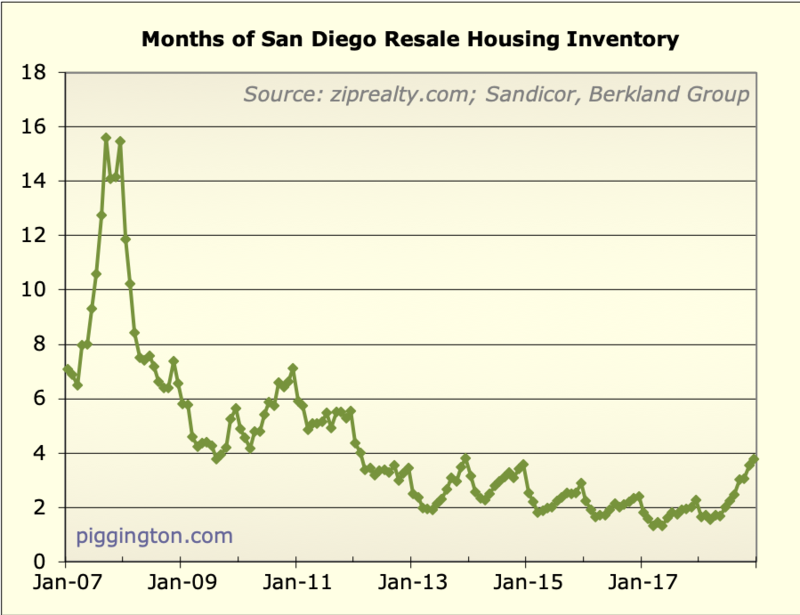 Rates are now at 12-month lows! 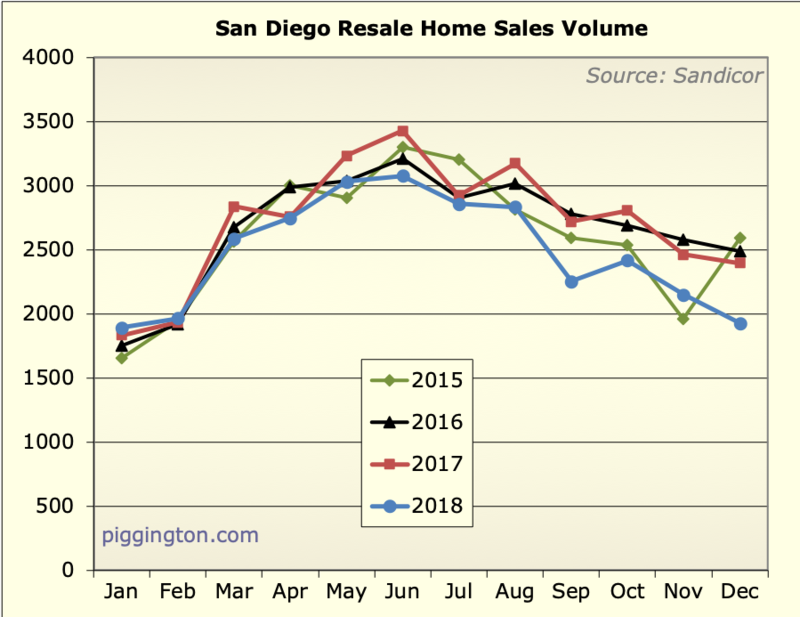 Monthly payments on a $650,000 mortgage are about $400 less a month than their peak in Oct and early Nov 2018. Trump is also floating bringing back the full SALT deduction. Andy has a good point about other cities. 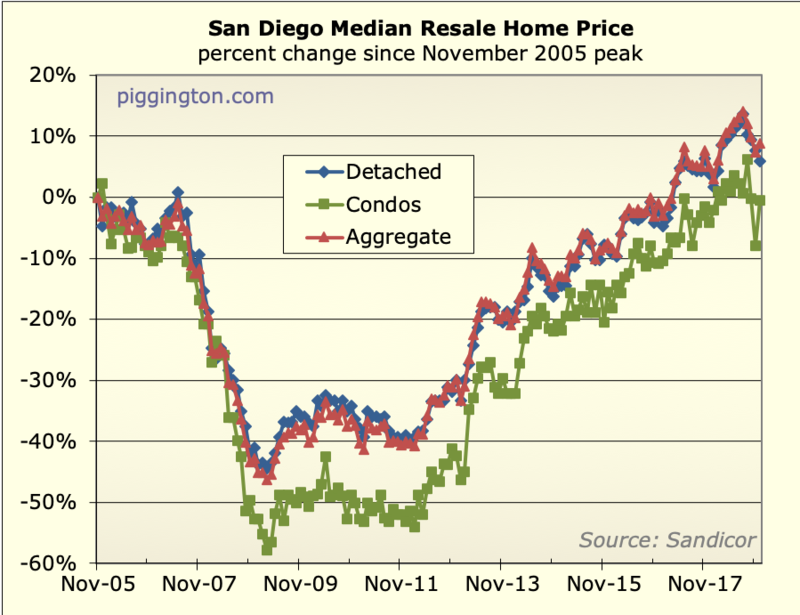 San Diego has gone up less than the rest of the West Coast (and Denver, NYC, and Miami). We have more room to grow. Submitted by spdrun on February 11, 2019 - 12:45am. 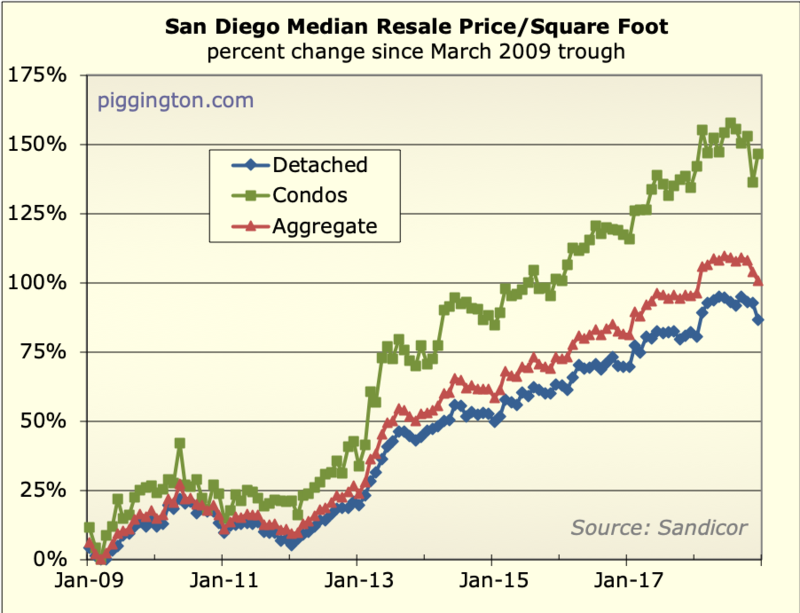 San Diego went up much more than NYC from the 2011 peak. Personally, I'd like to see 10y rates fall further and fully invert the yield curve ... then the fun will really begin.